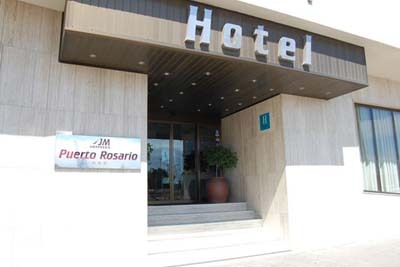 Hotel Offers in Puerto del Rosario, Fuerteventura. Find out which are the best hotels in Puerto del Rosario according to your needs and expectations for a pleasant accommodation in the exotic capital of Fuerteventura. Book now your hotel in Puerto del Rosario with these amazing prices due to out last minute deals. To check availability and the exact cost of your stay at a hotel in Puerto del Rosario it’s important to select the exact dates of your stay on the calendars below, then press “Search”. If you wish to read more details on any hotel you should click on top of it. Providing free WiFi, Secundino Alonso 84 is situated in Puerto del Rosario. This property is set a short distance from attractions such as Casa Museo Unamuno Fuerteventura. Fuerteventura Airport is 7 km away. Set in Puerto del Rosario, near Casa Museo Unamuno Fuerteventura, Playa Chica, Barrilla 29 features free WiFi. Some units also have a kitchen equipped with a microwave. The nearest airport is Fuerteventura Airport, 7 km from the apartment.